Blue Mounds State Park in Southwestern Minnesota is a surprise. This break with farmland rises amidst all the flatness. See for miles from the hiking trails along the top. 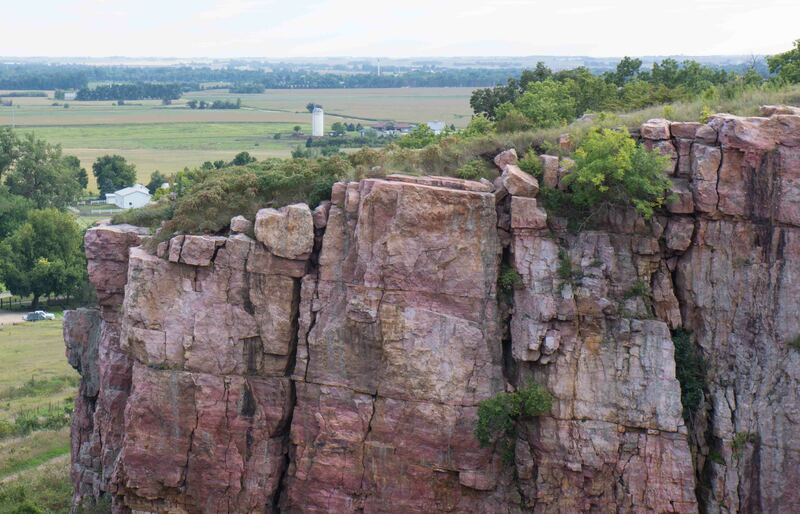 Sioux quartzite cliff 100 feet above an ancient quarry.